This crimper is no longer available for purchase. It has been replaced by the Philips USA SDW50610/17!!!! Works with Connector Models: PPC-EX6XL, CMP Series, Digicon DS Series, Corning Gilbert-Ultra Ease Series and Snap n Seal SNS Series. Insert the stripped cable into the connector make sure the cable is inserted to the end. Place connector with cable into tool's holder. 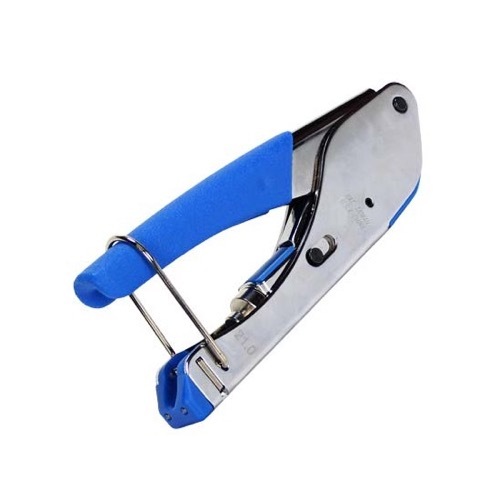 Remove the crimped connector from the tool.